Identification: Felis catus, the domestic cat, is one of the smaller members of the family Felidae, weighing only five to twenty pounds. Like other members of its family, the domestic cat is an agile hunter. It has a compact, flexible body, sharp teeth, retractile claws, and particularly keen eyesight as evidenced by its large eyes . Long whiskers on the snout detect changes in its environment and a long tail assists in balance during jumping and running. 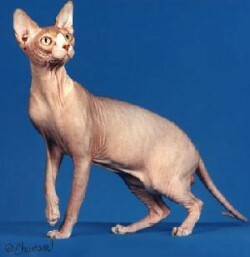 The Cat Fanciers' Association, which claims to have the largest registry of pedigreed cats, recognizes forty breeds of domestic cat, from the fluffy Persian to the hairless sphynx. A cat's coat may be one or a combination of a variety of colors, from black, brown, or gray to red, white, tan or even blue. Cats are either solid in color, have patches of different colors, or have "tabby" stripes reminiscent of their wild ancestors. The domestic cat is a close relative of both Felis silvestris, the European wild cat, and Felis lybica, the African wild cat. F.catus can interbreed with both to produce fertile hybrid offspring. Analysis of mitochondrial DNA has shown that F.catus and F.lybica are actually subspecies of F.silvestris. Because the three are genetically similar, it is often difficult to differentiate one from the other, especially in regions where they interbreed. However, generally speaking, F.catus ' domestication has led to some morphological differences such as smaller brains, jaws, and teeth than its wild cousins, as well as a wider variety of coat colors and lengths. Original Distribution: There has been some controversy surrounding the origin of the domestic cat. Some suggest the origin lies in Europe from a hybrid between F. lybica and F.silvestris , while others believe it was introduced, already domesticated, to Egypt from Nubia or Persia. The prevailing opinion is that the cat was domesticated in Egypt from local populations of its wild ancestor, F.lybica, in a domestication process that began around 6,000 BC. Current Distribution: F.catus is now distributed worldwide, except for some isolated islands in the Pacific southwest where they have not been introduced, or where they have been introduced but have not established reproducing populations. It appears that the cat's popularity in Egypt, a country with a major trading port, combined with its effectiveness as a mouse-hunter, ensured its spread throughout the world. Cats were introduced to Europe when they were employed as mousers aboard Egyptian shipping vessels headed to Rome. They spread to other parts of Europe as the Roman Empire expanded, and were taken to Asia along trade routes and by missionaries. Later, European colonization brought the cat to almost every other part of the globe. Mode(s) of Introduction: In modern times, introduction to a given area is accomplished when a human adopts a pet cat and, if kept as an "outdoor" cat, introduces it to the habitat near their home. This is also the case with "working cats" who are employed as mousers on farms. In addition, other pet cats are released purposely by owners or become lost from home and begin breeding with other cats to form feral populations in the area. Reason(s) Why it has Become Established: Cats still have the effective predatory tools -- such as excellent eyesight and hearing, sharp claws and teeth, strength, agility -- that made its progenitor, F. lybica , so successful in the wild. In addition, cats are prey-generalists; they will eat almost any type of animal they encounter, if within their (wide) prey-size range. They will even eat insects. Cats are also assisted by their association with humans. Ferals are known to congregate in areas where food waste is contained, such as alleyways and backs of restaurants, where they can obtain food in the form of refuse or rodents that are attracted to the refuse. In addition, cats reproduce very rapidly. Just one fertile female and her offspring, under ideal conditions, have the ability to produce 420,000 cats in a seven year period. The cat's hunting prowess and its likelihood of finding suitable prey, combined with its ability to thrive in the midst of human civilization and its high reproductive rate, makes it potentially successful in many habitat types, and therefore highly likely to become established. Ecological Role: Although some "cat-philic" organizations insist that cats have been mistakenly vilified as native-species killers, it is apparent they do much damage in the ecosystems to which they are introduced. Cats prey upon birds, small mammals, reptiles, and amphibians whether or not they are given meals by human owners. 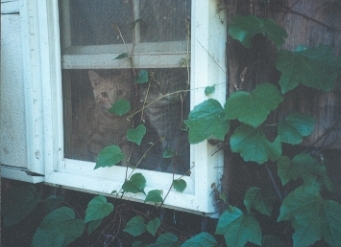 Throughout their domestication, cats have become more dependent on their human owners for food, but since they have specific nutritional requirements that can only be met by fresh meat (and recently in the West, by high-quality commercial cat food), cats have retained their wild ancestors' ability and instinct to hunt. One estimate numbers the US cat population at 93 million (30 million feral and 63 million pet) and states that cats are responsible for killing 566 million birds each year. Other estimates put the feral cat population at 60 million and the pet cat population at 73 million. In one Swiss study on the impact of cats on a population of black redstarts, Phoenicurus ochruros , scientists found that cat predation reduced the population by 12% in three years by causing large numbers of egg and nestling fatalities. Another study of the impact of exotic species on seabirds on the California Channel Islands and northwestern Baja California Islands found that, of several exotics, cats had the greatest impact on seabirds; they are responsible the for the extinction of the Guadalupe storm petrel (Oceanodrama macrodactyla ) and for eliminating populations of three other seabirds. Whatever population estimate one chooses to adhere to, it is clear the number of cats is in the tens of millions and undoubtedly has an immense impact on our native ecosystems. Benefit(s): Cats were first domesticated to serve as pest control agents, keeping levels of rodents in check at food storage facilities, particularly farms. They are still used for this purpose in many locations. In the US, cats may serve an important role in keeping levels of other invasive species down as they do in Australia where, in one study, 64% of cats' prey was introduced mammals. The benefit of cats as a companion animal cannot be overlooked as this has a direct relationship with its ability to spread across the globe. In 1996 the cat passed the dog in popularity as a household pet. Threat(s): Cats threaten wildlife in a variety of ways. They act as a disease vector of feline diseases such as feline leukemia and FIV (the feline version of HIV) to wild cat populations in Europe and Africa and they interbreed with wild cat populations which may reduce the genetic fitness of those populations. Cats are a vector for rabies which they can then spread to humans, domestic animals, and wildlife such as raccoons. Cats pose a particularly major threat to both native birds and small mammals. The Audubon Society estimates that several billion small animals are killed annually within the continental United States by house cats and feral cats. On the islands of Australia, New Zealand, and Mauritius, the cat is responsible for exterminating several native bird species. A less serious, though definitely unpleasant, situation which cats can create is that of a nearby feral cat population. These populations are known for being noisy, especially when females are in heat, and for creating messy, unsanitary conditions. Control Level Diagnosis: Highest Priority. The World Conservation Union has ranked the domestic cat on its infamous list of "100 of the World's Worst Invasive Alien Species." Its continued presence in geographic areas to which it has been introduced may have even more devastating effects on native fauna. 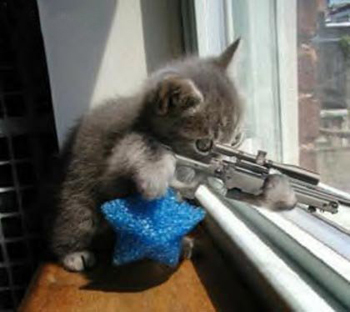 Control Method: Several different methods of cat population control have been attempted. Most towns in the US have an animal control division or animal shelter which accepts lost and feral cats. Most of these agencies euthanize large numbers of cats regularly. The Humane Society of the United States estimates that several million cats are euthanized in the US each year. This method is tantamount to placing a bandage over the hemorrhaging wound of cat population growth. Other attempts have met with somewhat more success. On Marion Island, off the coast of southern Africa, domestic cats were eventually exterminated after several years of hunting, trapping and poisoning. However, for any population not restricted to a small island, extermination by these methods is impractical because areas where cats have been exterminated will be quickly repopulated by nearby source populations. It appears that the best way to control feral populations is via a region-wide, comprehensive program with the goal of sterilizing the cats in the area without removing them from that area. Allowing a sterilized cat to live in its area ensures competition with neighboring cats for food and space resources which means fewer kittens will survive to adulthood to breed. Reducing the number of future litters by the combination of sterilization and competition should, albeit slowly, reduce the cat population. Many humane-treatment organizations advocate this "trap-neuter-release" method and are actively involved in employing it. The Feral Cat Coalition of San Diego, California provides marathon-type neutering clinics for ferals. They claim that there has been about a 50% drop in cat impounds at the San Diego Department of Animal Control since they began their program in 1992. However, even if we are able to eliminate the feral cat population, we still have to deal with the ecological effects of millions of pet cats. Since most mammals are nocturnal, somesuggest keeping cats indoors at night to protect native mammal populations. Unfortunately, this will do nothing to help protect diurnal bird and reptile species. Attaching a bell to the collar of one's cat may help, but only temporarily, as cats can learn to move so as not to ring the bell. Innovations in bell-type technologies could be of help, such as electronic alarms attached to collars that sound intermittently to warn potential prey of a nearby cat. Another option is to keep cats indoors permanently. Part of the pet cat population problem is that there are too few regulations for cats and not sufficient incentives for sterilizing cats. For instance, in New York City, it is required by law that dogs be licensed, however, cat licensing is not required. Differential licensing laws where higher fees are charged to owners of non-neutered cats would encourage neutering. 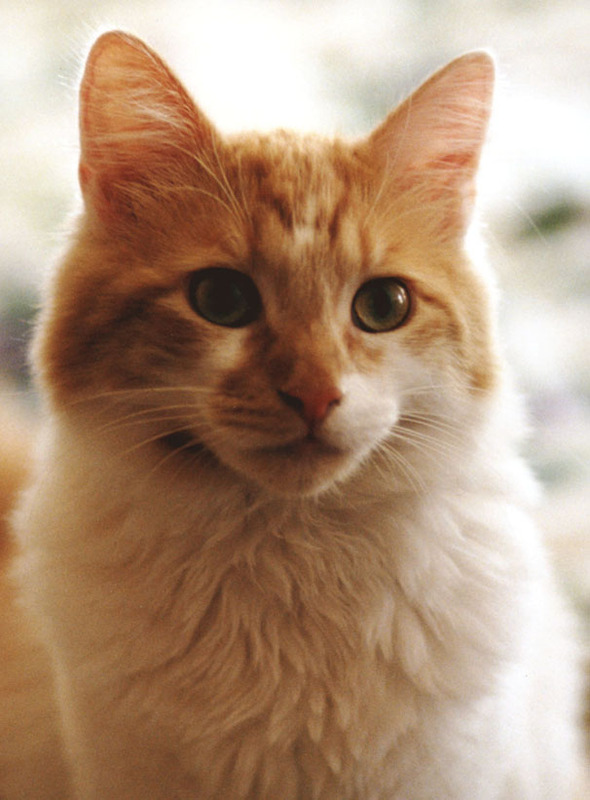 A "cat at-large" law, such as they have in Fort Collins, Colorado, would encourage owners to act more responsibly in controlling their cats whereabouts and interactions with other cats. This law restricts cats to their owners' property; any cat not on its owner's property can be picked up by the animal control agency. Subsidizing neutering costs can also help in encouraging owners to sterilize their cats. We must confront the cat population problem with a combination of methods: enlist the "trap-neuter-release" style of feral management and combine it with incentives for owners to sterilize their pet cats. Ecological consequences of the presence of cats should be mitigated by restricting pet cats to the indoors or attaching an effective bell to the cat to warn potential wildlife prey. In addition, we have to consider that reducing cats' effect on the ecosystem may actually have a negative impact upon some native species due to the possibility of "mesopredator release effect". In areas where domestic cats are preying upon invasive rodent species, such as the Norway rat, elimination of cats could induce a rat population spike which may adversely affect those native fauna and flora that are the rats' source of food. Therefore, domestic cat population control in a given area should be undertaken with care and an understanding of the cat's role in that particular ecosystem. 1. Barratt, D.G., 1997. Predation by house cats, Felis catus (L), in Canberra, Australia. Wildlife Research. 24: 263-277. 2. Bester, M.N, et. al. 2000. Final eradication of cats from sub-Antarctic Marion Island, southern Indian Ocean. South African Journal of Wildlife Research. 30: 53-57. 3. Bradshaw, J.W. et al., 1999. Feral cats: their role in population dynamics of Felis catus . Applied Animal Behaviour Science. 65: 273-283. 4. "Cat, domestic." Encarta Encyclopedia 2000. CD-ROM. Microsoft, 2000. 6. Courchamp, F., M. Langlais, G. Sugihara. 1999. Cats protecting birds: modelling the mesopredator release effect Journal of Animal Ecology. 68: 282-292. 7. Essop, M.F., N. Mda, J. Flamand, E.H. Harley, 1997. Mitochondrial DNA comparisons between the African wild cat, European wild cat and the domestic cat. South African Journal of Wildlife Research. 27: 71-72. 9. Fromont, E., M. Artois, D. Pontier. 1998. Epidemiology of feline leukemia virus (FeLV) and structure of domestic cat populations. Journal of Wildlife Management. 62: 978-988. 10. Geary, Theresa. Director of Shelter Operations, New York City Center for Animal Care and Control. Telephone interview. 17 October 2001. 11. Hubbard, A.L., et al, 1992. Is survival of European wildcats Felis-silvestris in Britain threatened by interbreeding with domestic cats. 61 (3) 203-208. Biological Conservation. 17. Pearre, S., R. Maass, 1998. Trends in prey size-based trophic niches of feral and house cats Felis catus. Mammal Review. 28: 125-139. 18. Pimentel, D. et al., 2001. Economic and environmental threats of alien plant, animal, and microbe invasions. Agriculture, Ecosystems and Environment. 84: 1-20. 20. Weggler, M., B. Leu. 2001. A source population of black redstarts (Phoenicurus ochruros ) in villages with a high density of feral cats (Felis catus). Journal fur Ornithologie. 142: 273-283. 21. Wiseman, R., C. O'Ryan, E.H. Harley. 2000. Microsatellite analysis reveals that domestic cat (Felis catus ) and southern African wild cat (F-lybica) are genetically distinct. Animal Conservation. 3: 221-228. 22. McChesney, G.J., B.R. Tershy. 1998. History and status of introduced mammals and impacts to breeding seabirds on the California Channel and northwestern Baja California islands. Colonial Waterbirds. 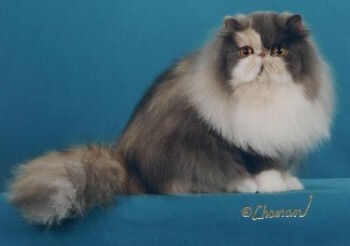 21: 335-347.
photo of Felis lybica from "Cat, Domestic." Microsoft Encarta Encyclopedia 2000. CD ROM. Microsoft, 2000. GGDimijian/Photo Researchers, Inc.